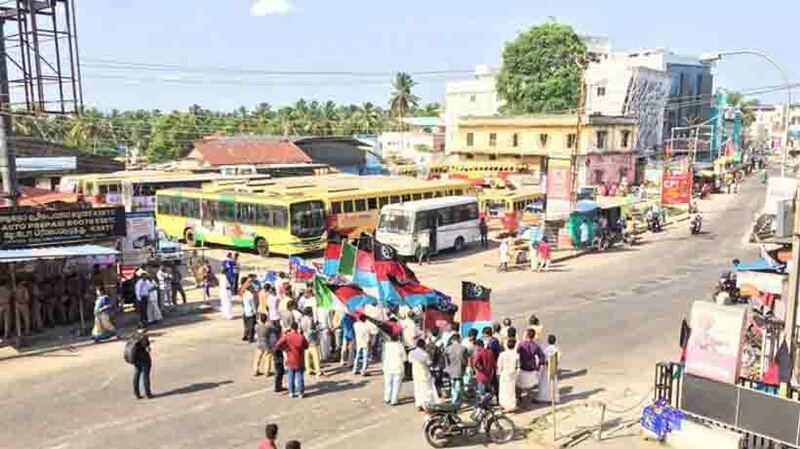 Kochi: The dawn-to-dusk hartal called by Dalit outfits to protest against attacks on Dalits in North India affected normal activities in the State today. Private buses were not allowed to operate by the activists even as the operators’ associations had rejected the hartal call yesterday. Some private buses were seen on the road. However, KSRTC operated limited services as the protesters pelted stones at some places. Government and private offices reported poor attendance. In Kochi, Adivasi Gothra Sabha leader Geetanandan was taken into custody for making inflammatory remarks which he later denied. Protesters forced shops to shut down . Police arrested 18 protesters for taking out protest march and blocking private buses.